One essential routing option in Pimcore are the Pimcore Document paths. Along with Pretty URLs they define the address of a Document in the Browser. The Document path and pretty URLs come third in the route processing priority. Every document has a path (in the document tree) that directly represents the address in the browser (e.g. 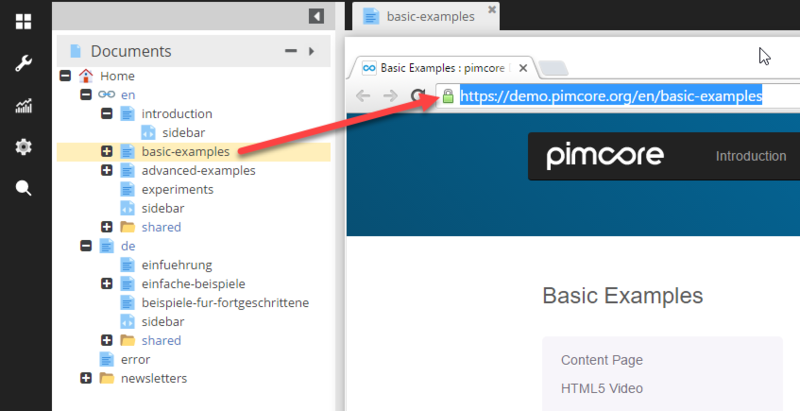 https://demo.pimcore.org/en/basic-examples). If there is a document path matching the requested path info, the route then uses the controller, action and view defined in the document's settings, passing them to the dispatcher along with the document itself. See Documents documentation for more details for setting of Documents. 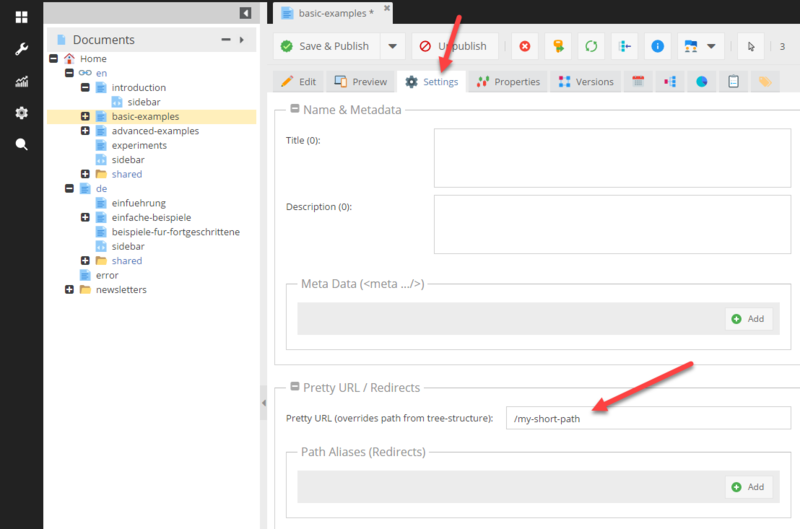 The Pretty URL setting overrides a document's full path only for the purpose of routing. This is useful for when you would like to create shorter paths or friendly URLs for sharing. A Pretty URL does not redirect to the original URL. The default route is also responsible to assemble the URL's for documents.